What is the National Stadium? Located in the central area of Beijing Olympic Park, National Stadium (Bird’s Nest) is the site where the 2008 Beijing Olympic Games, concerts, and track and field events were held. 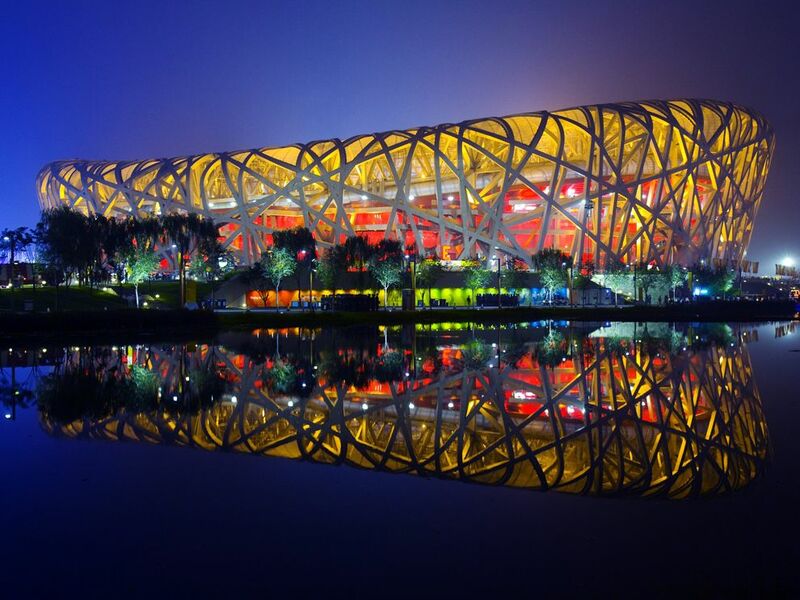 The main body of the National Stadium is a "Bird's Nest" shape woven from a series of steel trusses around the bowl-shaped seating area. The space structure is novel, the building and structure are seamless, unique and beautiful, with strong shock and visual impact. The National Stadium can seat 91,000 persons. After the 2008 Beijing Olympic Games, it becomes a large-scale professional site for Beijing citizens to participate in sports activities and enjoy sports and entertainment, and becomes a landmark sports architecture and Olympic heritage as well. There are seven floors above the stadium base, with service facilities for audience, work area for media, VIP reception area and commercial area. There are 3 floors below the base with a zero-level internal loop, parking lot and a large number of functional rooms. The bowl-shaped stands are divided into the upper, middle and lower layers, and a box and a seating area are arranged between the upper and middle stands. If you are planning to visit National Stadium for photography purposes, the best time to visit is in the evening during its opening hours. There are several buses passing by the National Stadium. Therefore, there are several options. Rent a vehicle to the stadium. This is the quickest and most direct option. Take Bus 82, 419, 538, and Bus 645 to the Stop of National Stadium. Take Metro Line 15 and Line 8 to the Stop of Olympic Park. The stadium offers free interpretation service. The stadium offers currency exchange counter. The stadium has a medical station. Interested in visiting the National Stadium on a Tour? Wendy Wei Tours offers a variety of different packaged tours as well as custom tours including the National Stadium, among other attractions and destinations. To find out more, please visit our Tours page or Contact Us directly to find out more.